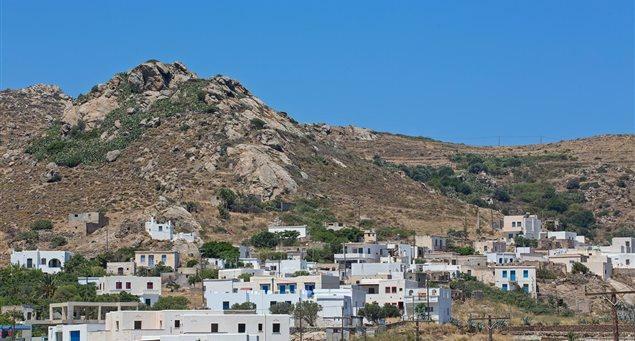 Eggares is a small farming village in the midst of a fertile plain still bearing the marks of blissful times that left an indelible impression on prominent writer Nikos Kazantzakis in his teens, at the end of the 19th century. 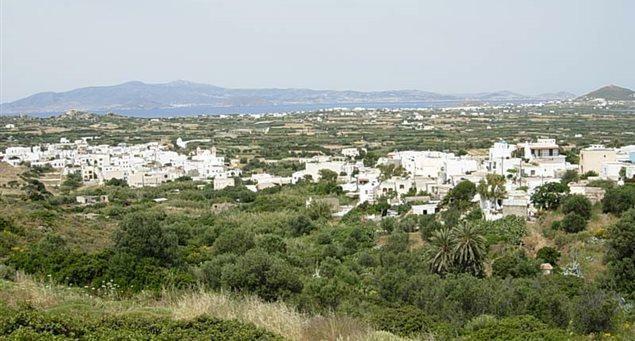 With plentiful waters, the Eggares plain, just a few kilometers north of Chora, still accounts for a sizeable part of Naxos’s agricultural production. 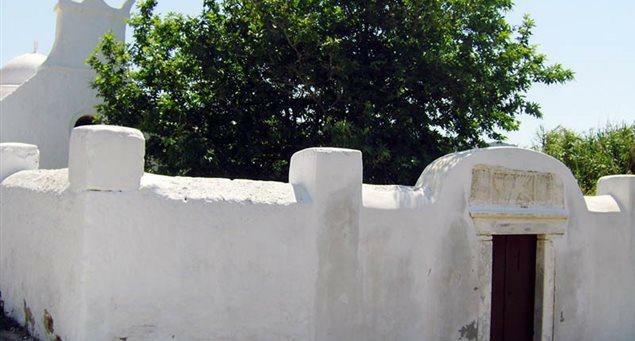 In the village of Eggares, visitors can see two wonderfully restored olive mills. The first, dated 1885, now houses the municipal office and the village clinic. The second is said to be several decades older, although the olive press is dated 1884. Eggares has about 200 permanent residents but the population swells nearly five-fold in the summer. The hub of the village is its attractive, stone-built main square, next to the Church of Kimissis Theotokou (Dormition of the Virgin). 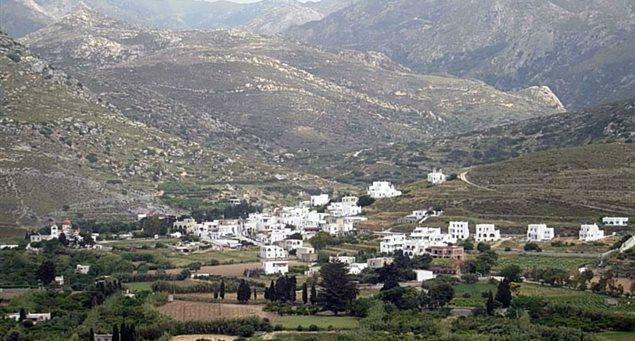 Along the two streams that traverse the village are two now uninhabited neighborhoods, Messa Gitonia, where the Foufopoulos tower is, and Lagada, which features seven listed watermills. These are pre-industrial era structures that were still in operation until the 1960’s. Just beyond Messa Gitonia lies the now half-ruined church of Panagia Monastiriotissa, likely built in the 9th century on the foundations of an ancient temple. The remains of some frescoes are visible. A short distance outside the village of Eggares is a two-arched, elegant marble bridge of 1899. In the days before domestic water supply housewives would bring their clothes to the stream and light a fire under the bridge to heat water. East of the village is the hill of the Nativity, with a small chapel built into the rock -where a sanctuary of the Nymphs existed in antiquity. The spot offers superb views. The tavernas in the village serve excellent traditional dishes, prepared with fresh local produce which is in abundance. The biggest feast in Eggares takes place on August 15, when the church at the square celebrates. It is held in the courtyard of the primary school, with local delicacies and wine, live music and dancing. Directions for access Eggares lies 6km from Chora, on the western road axis to Apollonas. It also has a road connection with Kynidaros while a foot trail will take you to Keramoti. Parking Plenty of parking space. Public transport info There are frequent bus connections with Chora.